You enter a medieval castle and find yourself in a magnificent throne room. Suddenly, a big, wooden door closes and locks behind you. You are trapped! You quickly discover that the castle is filled with riddles. Can you solve the riddles in time and escape the castle? This EXIT game was provided to me for the purposes of this review, but the opinions here are my own. 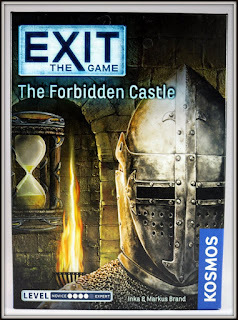 Dripping with theme and pulling players into another world, EXIT: The Forbidden Castle is an at-home escape room experience in the popular and award-winning EXIT series. In this storyline, the players are on vacation and decide to hike to a castle...which is empty but magnificent. Stepping into the throne room, you hear the door slam behind you and you realize that you are now trapped inside! Using a timer of your own or the free Kosmos Helper App, it's now up to you to see how quickly you can solve all the puzzles included in the small box and think your way out of a big mystery! 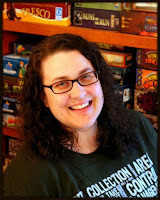 Reviewing an EXIT game is tricky, because I can't tell you exactly what's in the box! There are things...and bits. 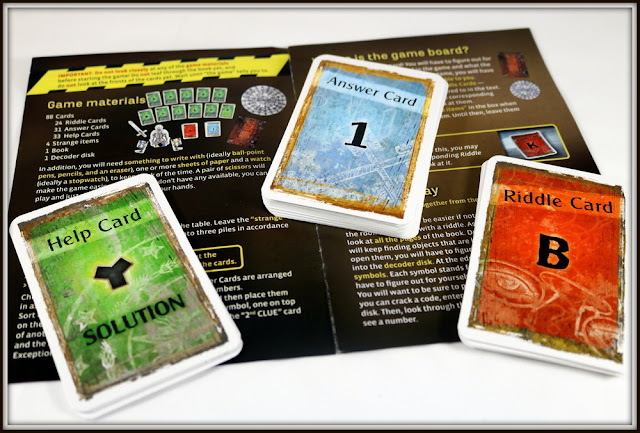 You'll start out with access to one booklet and one dial, and some piles of Riddle, Answer, and Help Cards. The instruction book will let you know how to set these up without looking at the front sides of the cards! To make the most of your experience, be sure not to accidentally catch a glimpse of something without solving the proper puzzle first. With the timer on the Helper App (or another timer) started, go ahead! Look through the booklet. Look at the pictures, read the words, try to find any bits of significance. Each of the many riddles in the box corresponds to a particular shape icon (the square, the circle, the crescent, etc.). As you find these icons in the images or linked to the text, you will be led to what to do with the booklet, the cards, and the dial in order to unlock the next piece of the adventure. 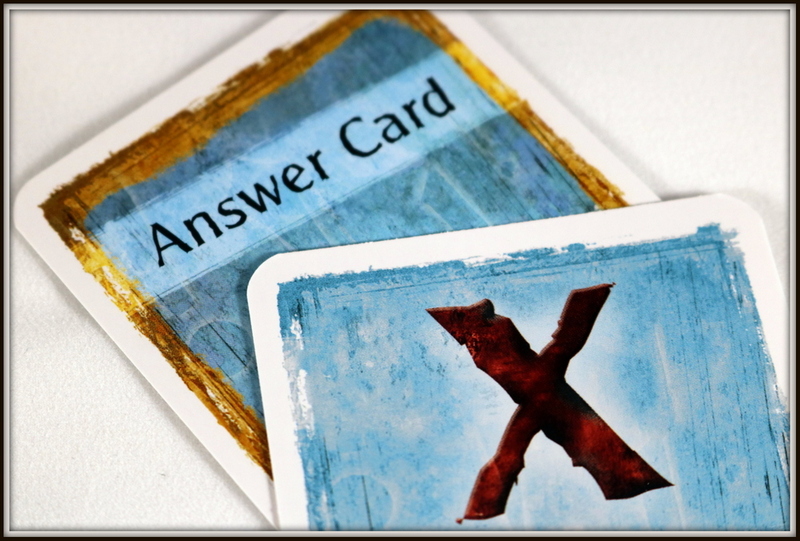 Each time you do, use a certain Answer Card to reveal another Clue Card which will, in turn, lead you to the next puzzle. 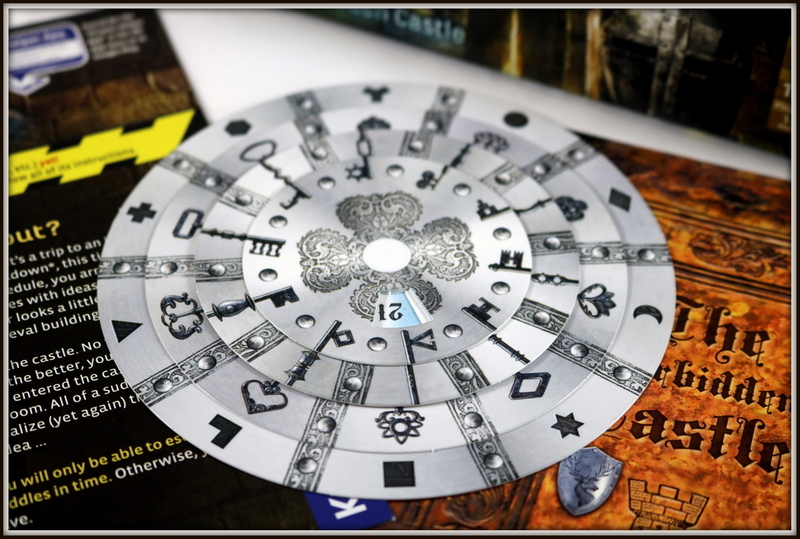 Some of the puzzles may involve cutting, ripping, or writing on components from the game. 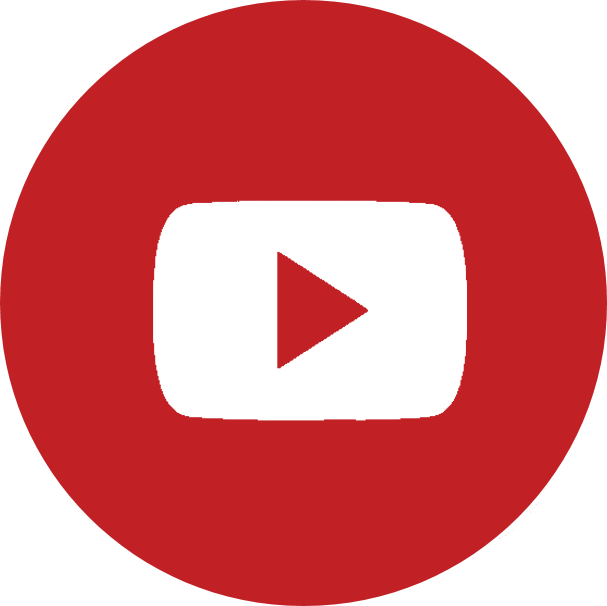 The EXIT series is made to be consumable--you won't play this particular game again. Some of the puzzles rely on images, others on the text. Sometimes you'll be focusing on numbers, other times on words. 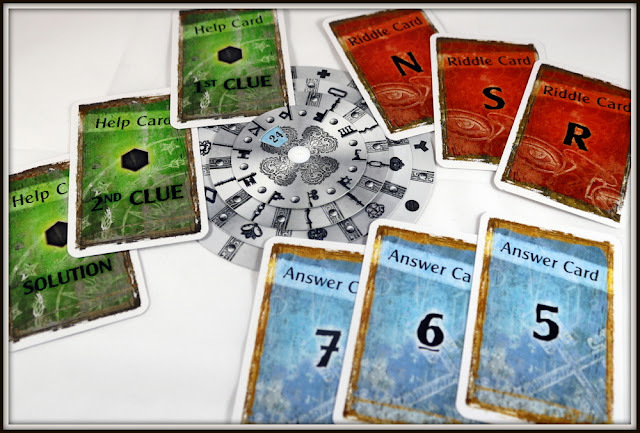 We found that it's good to have a full complement of 4 players, as you'll often find that one of you will look at something from a fresh perspective and suddenly crack the code. My family was successful in escaping the Forbidden Castle, but there was one puzzle that really stumped us, and we wound up using the Help Cards to get past that. It's a balancing act with deciding when to ask the game for help and when to keep pushing through something. We may be a little too stubborn and probably would have finished much more quickly if we'd accepted help sooner! Thankfully, it didn't dampen our enjoyment of the experience. 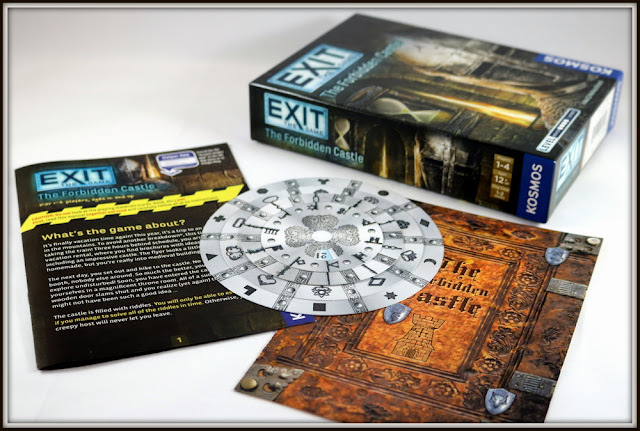 The EXIT games make a really fun family or group experience. 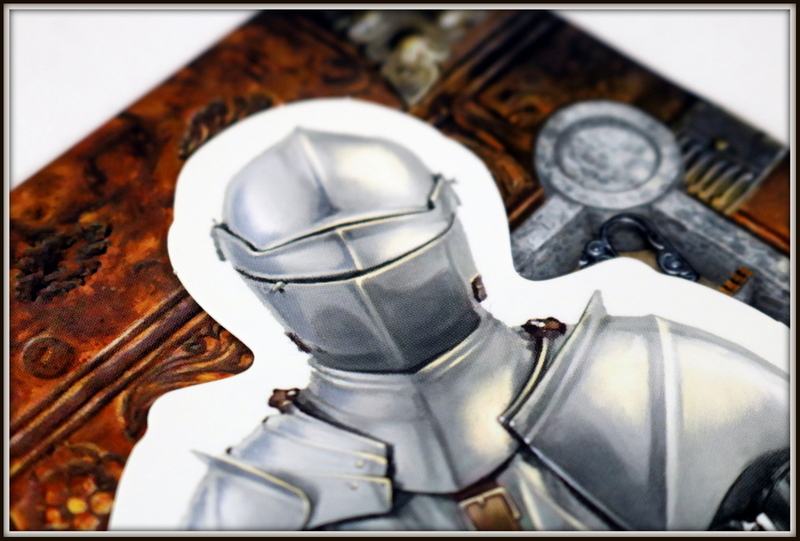 We were drawn in to the setting and plot of The Forbidden Castle and as we grew more familiar with the images and texts we would sometimes flip over a new clue card and immediately pounce on what the next puzzle should be. The Forbidden Castle was a good level of difficulty for our family (2 adults, a 16-year-old, and a 12-year-old). The puzzles were challenging, but fulfilling when we did tease out the solutions. There was a good variety between pictures, words, and numbers so that each of us had a chance to feel successful and offer a solution to the group. 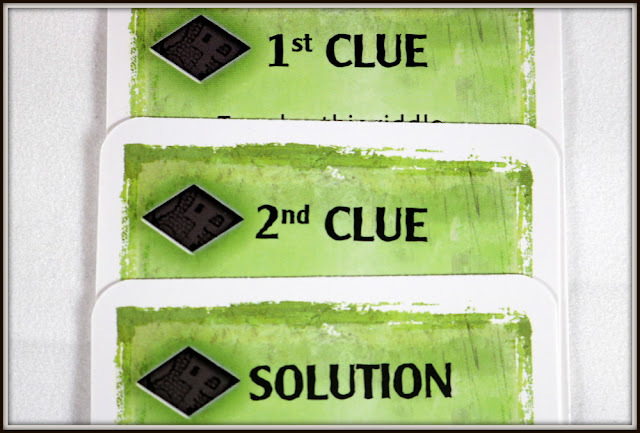 As I said earlier, there was only one puzzle that stumped us, and--not to give too much away, I hope!--it involved looking for something on the other components of the game. The same type of puzzle stumped us on our earlier excursion onto EXIT: The Forbidden Castle. When we try our next EXIT game, I think we'll have a little better idea of the way the designers think and some of the places that we can look for things that we didn't think of before. There are many folks who don't enjoy the consumable nature of the EXIT games. It is true that you can only play each copy once--we won't be able to play The Forbidden Castle again, and we can't pass it on to another family, either, because many of the pieces were altered. However, for our family, we enjoyed the physical experience of cutting, ripping, and writing on the pieces; plus, the cost is low enough that it's less expensive to buy an EXIT game to enjoy for the afternoon than it would be to pay for four movie tickets to fill the same amount of time! 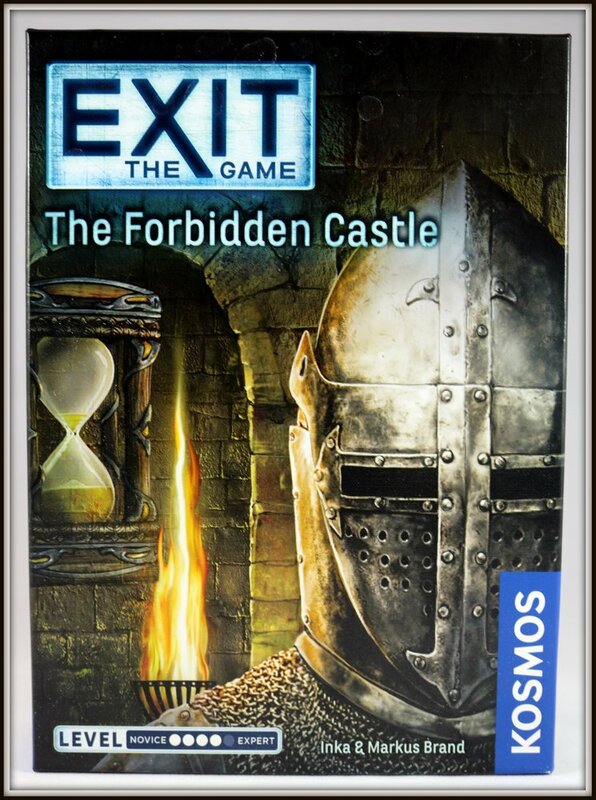 Players who like mysteries, puzzles, and escape rooms will enjoy the immersive experience of EXIT: The Forbidden Castle. There may be a learning curve to the EXIT series of escape room games--my family definitely did better on our second game than we did with our first try, and it leaves us eager to test our skills with another title. 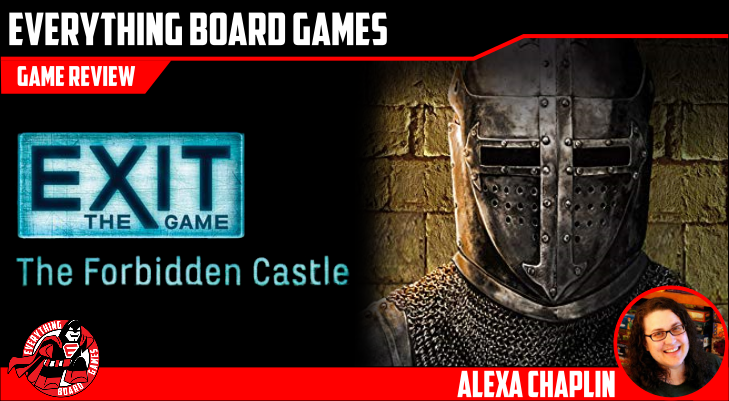 EXIT: The Forbidden Castle had a good balance of puzzles and enough interest to keep all four of us engaged until we solved the final riddle and freed ourselves from the mysterious castle once and for all!